Bakes for Breast Cancer > Blog > American > Presidents like desserts too! Since Monday is Presidents’ Day, I thought it would be appropriate to focus today’s blog on our fearless leaders, past and present. Don’t worry, this post will not be a long history lesson. Instead, I’ve done a little research on some of the desserts that famous presidents have eaten and enjoyed. 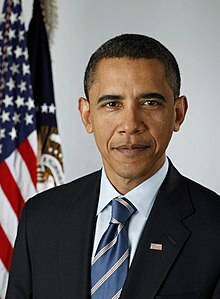 Let’s start with our current and 44th president, Barack Obama. Did you know that Mr. President loves peach cobbler, specifically the one served at Dixie Kitchen and Bait Shop in Chicago? Here is a video of his rave review back in 2001. Cobbler is a fruity dessert baked with a top crust that’s made of batter, biscuit, or pie crust. Unlike pies, cobblers never contain a bottom crust. But like pies, they are best enjoyed warm (and with ice cream)! 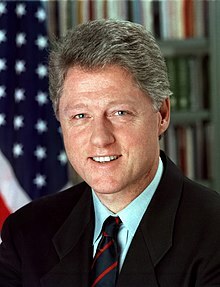 Former president Bill Clinton, who was in office from 1993 to 2001, cannot say ‘no’ to apple pies, especially the famous one from Peter’s Grill in Minneapolis, MN. As mentioned before, pies have that desirable bottom crust, and it contains a savory or sweet filling. I love dessert pies and frankly, I wouldn’t mind having a birthday pie as opposed to cake! Back in the 1870s, when Ulysses S. Grant was our 18th president, his dessert choice was rice pudding. Rice pudding is a mixture of rice, water or milk, spices, and a sweetener. It is a dessert that is enjoyed all over the world where different countries add their own local ingredients to this sweet creation. Fruit can most definitely be eaten for dessert. 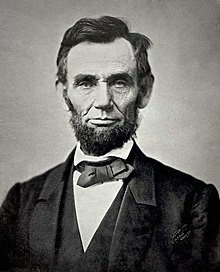 Fun fact: the man whose face is on our pennies and $5 bills, Abraham Lincoln, has always enjoyed a simple fruit salad. There are so many things to like about this “dessert;” it’s healthy, refreshing, and colorful. Last but not least, George Washington, the first president of the United States and whose birthday coincides with Presidents’ Day, was a huge fan of ice cream. In fact, it was one of his favorite foods! He once spent $200 on ice cream in the summer of 1790 – that’s quite a lot, even in today’s time. Not sure what his favorite flavors were, but mine are strawberry, oreo, and cookie dough. Click here for a fun link of a food timeline featuring all the US presidents’ favorite foods. Happy Presidents’ Day! This entry was posted in American, Cakes, celebrity, Desserts, food ingredients, Friday's with Jamie, Ingredients, Pies, Savory, Uncategorized and tagged apple pies, birthday, cake, cobbler, cookie dough, Desserts, fruit, ice cream, Oreo, presidents day, restaurants, rice pudding, strawberry, washington.